At CMMB, we love to share insight from our volunteers – the reasons they choose to serve and the challenges they have faced while doing so. 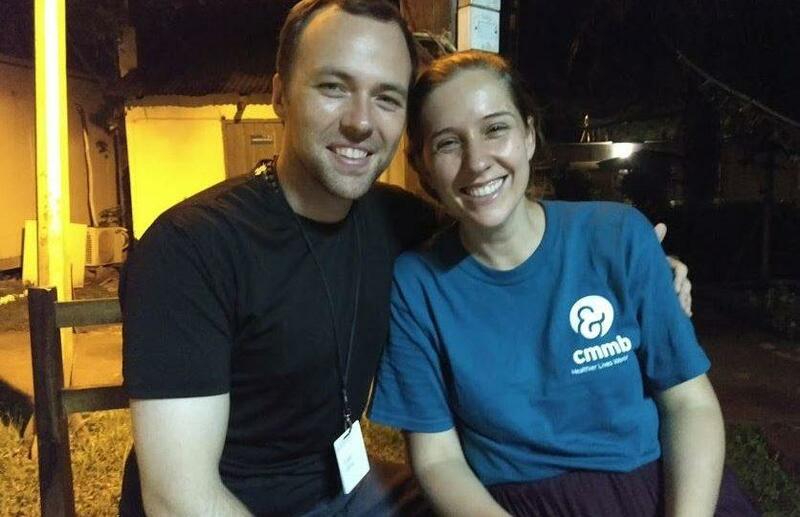 Dan Maxwell and Angela Baratt are two of our international volunteers who are serving in Yambio, South Sudan. 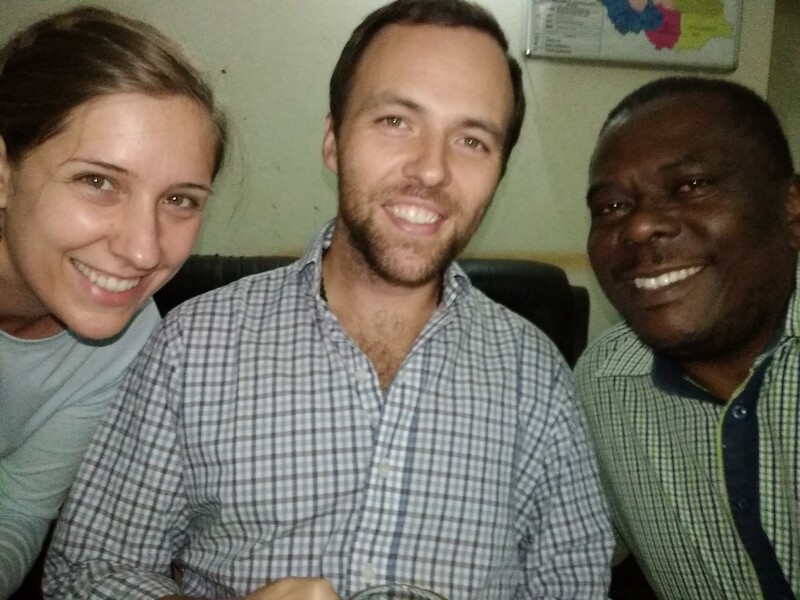 Dan, is a doctor at Yambio State Hospital and Angela is a teacher at St. Mary’s Catholic School. Below, they share what it’s like to serve as a couple who bring different skills to the field. 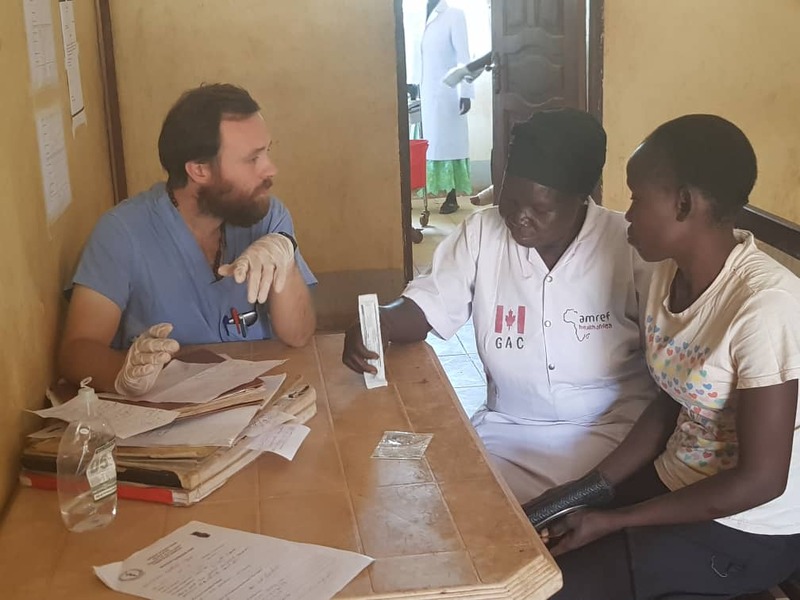 Their insights shed light on a ‘little bit of everything’ including – the humor, the challenges, and the beauty that come with embarking on this experience together. How has this experience impacted your relationship? Angela: It has been amazing to see Dan’s big heart in action. I’m always so impressed that every day, after a really long day at the hospital, he still comes home singing. I take heart from his optimism and ability to serve. We brainstorm and problem solve a lot together, and I know it sounds cliche, but two heads really are better than one. I feel we come up with better ideas when we talk through things together. It feels good to work on challenges as a team. Dan: Let me start by explaining my idea of growth regardless of whether it is personal, interpersonal, professional, or whatever. I believe that for most people, challenges are necessary for growth. There are few precious souls out there who will simply strive tirelessly for improvement even when improvement is not necessarily needed. For the rest of us, myself included, growth occurs when challenges arise. Walking on flat ground is easier, but climbing is the only way to reach a higher level. Challenges come in many shapes and sizes but, as long as it is something you need to overcome, you are pushed towards improvement. But here’s the caveat – it has to be a challenge you can actually tackle, something you can actually surmount. For relationships, little challenges arise all the time. A classic example being which way to squeeze the toothpaste. * Couples who meet these little challenges one by one and overcome them together, get stronger and stronger. However, if a couple runs into some challenges they can’t overcome, things become very difficult. Serving away from home provides a whole slew of new challenges to couples. If they are ready to surmount them together, they can strengthen their loving bond. If a couple wants to serve together away from home I would encourage them to do it! But, only if both individuals are confident and ready to face those new challenges together. *Angela’s note: We have literally never even mentioned which way toothpaste should be squeezed. Now that you are there, and have seen and experienced things, how have your hopes, ideas, and expectations changed or adapted? Dan: I don’t recognize our hopes or expectations as changing but rather strengthening. I suppose that has a lot to do with the fact that we already knew what we were coming here with, in terms of our relationship. We just weren’t sure what else we would find. Angela, Dana and colleague, Benson celebrating this past Christmas. 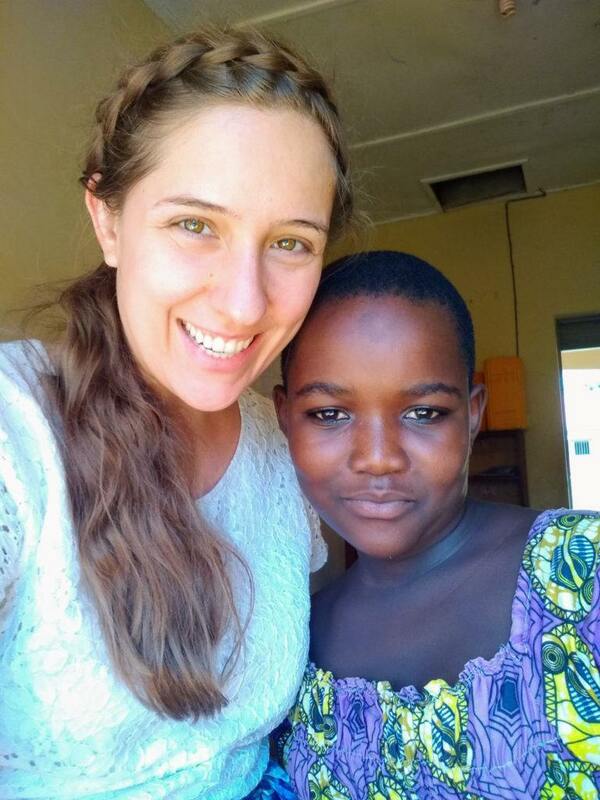 The changes in hopes and expectations have mostly centered around things here in Yambio – Angela’s goals for her students’ learning at school and my goals for my patients at the hospital. We are both still very excited, even as our goals have shifted. Do you have any advice or suggestions for couples considering a similar experience? Angela: Do it! It has been so good for us. My advice is to really talk about your expectations and needs before you leave and to be patient with each other. You are going to see aspects of each other that you may not have seen before. You are going to do a lot caring for other people – the people you serve. But, don’t forget to also take care of each other. 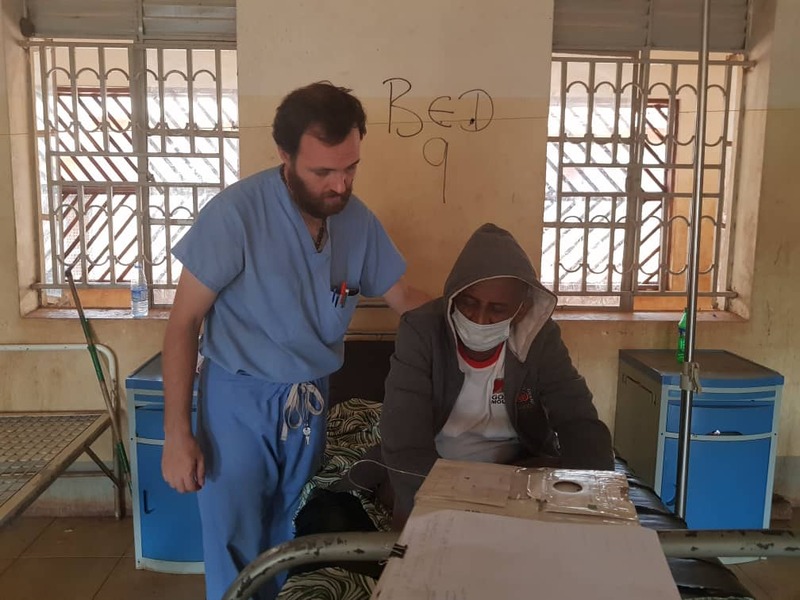 Dan and I come from different backgrounds in terms of our careers, in the volunteer sphere he is clinical (a doctor) and I am non-clinical (a teacher). But, I think this difference is one of the very reasons this experience has worked so well for us. Couples who are clinical/non-clinical are exposed to a variety of experiences. They also, have a balance of time a part, to learn and grow separately, and time together. Just experiencing a new country for the first time together there is enough to compare and track cultural nuance across different scenarios, to learn what is unique to the people you serve, and what might be unique to your professional setting. Dan: I feel like I am truly one of the last men on earth who should be giving relationship advice, but if someone’s asking I suppose I’ll indulge them. After all, as the saying goes – give advice worth the price paid for it. So, here it goes. Be patient, be kind, keep no record of wrongs (you can look up the rest). Communicate, communicate, communicate. Do intentional things to strengthen the relationship. And, as a wise person decides before constructing a tower whether they can afford the whole project or not, don’t go into this kind of thing as a couple if you’re unsure of how you will handle it. If you’re not ready for it together, the experience could be challenging and you might find a breaking point. On the other hand, if you’ve taken stock of where you are and why this work is on both of your hearts, you can grow together in new and truly beautiful ways. To learn more about what it’s like to serve as couple in the field, click here.